I recently had a chance to visit the Forum Vijaya Mall, a spacious and well-designed mall in Chennai. Whereas I am located far away from the main city, the forum mall is located in the main city. It was really a fresh experience for me as I had never visited it before. The Diwali decor was chic and give you the festive mood as soon as you enter. Try to go in the evening time to please your eyes with the beautiful Diwali festive decor. 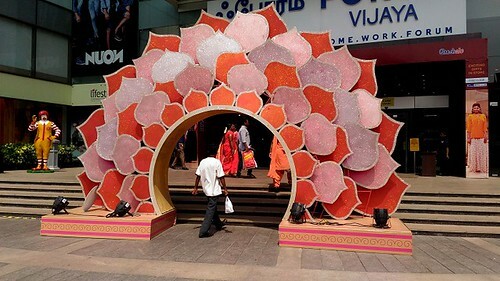 Here comes the lotus decor welcoming the visitors at the entrance of the mall on the occasion of Diawli. I wish I could have visited the mall in the evening to indulge in the decor with lightings. I would like to reiterate to visit the mall in the evening to enjoy the festive decor with lightings. Forum Vijaya mall can be chosen to visit even if you are going to stay in Chennai just for one day as it is located in a very prime location of the city. It has easy connectivity both by road and metro. Below is the distance to Vijaya Mall from Egmore, Central, and Koyambedu from Google maps. With a great ambiance and chic decor, the forum mall is just outstanding. I have even heard that various events are organized in the mall frequently. 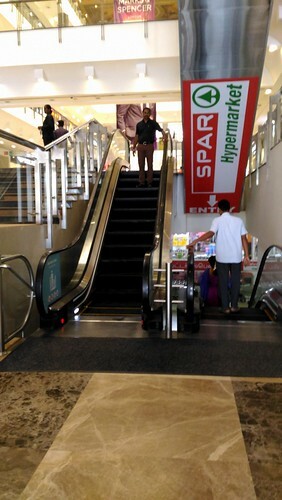 As soon as I entered into the mall, the first thing that impressed me is the escalators that are well placed. We do not need to walk from one end to the other end to reach the next floor. 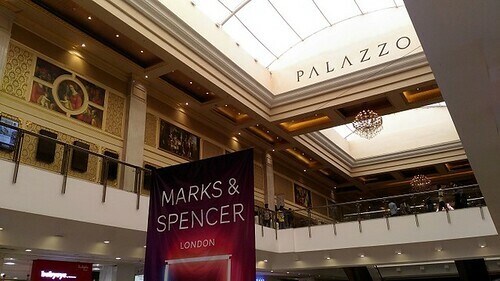 If you are a movie freak, you must have visited the Palazzo cinemas located in this mall at least once. I never had a movie experience there. But the floor looked great with amazing interiors. It is really artistic and has a royal look to attract each and everyone. 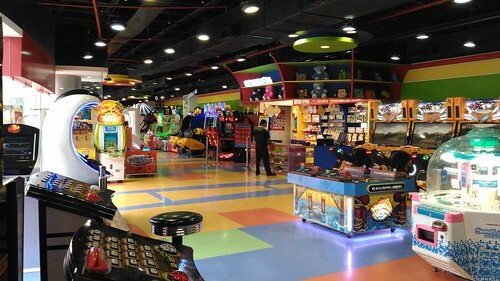 Fun City is located in 2 floors. 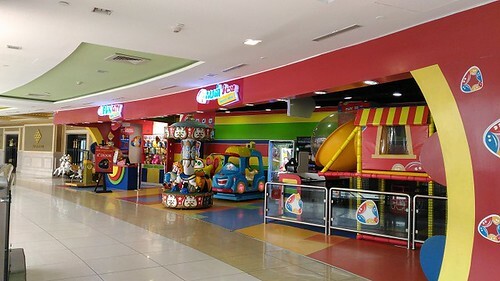 The first one has play area for small kids and the next one has games for bigger ones. I could spot at least 2 restaurants in each floor. So, you do not need to have your food in a chaotic cafeteria. You can choose the restaurant conveniently to have your food in a relaxed atmosphere. I could not taste the food there as I was running out of time. Here is my review of Max, Chennai - Forum mall where I spent most of my time on that day. My friend who is a regular visitor of hypermarket located in the mall used to say that I should visit the Max store at least once. I am a regular customer of MAX, OMR. Mostly, we stick to MAX fashion when it comes to my kid's clothing. MAX India is a division of Lifestyle International (P) Ltd. The first store of MAX was established in Indore in the year of 2006. 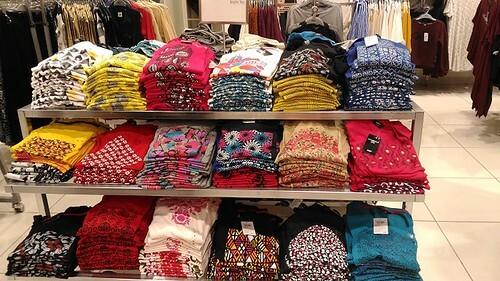 Now, it has around 105 stores across 45 cities. 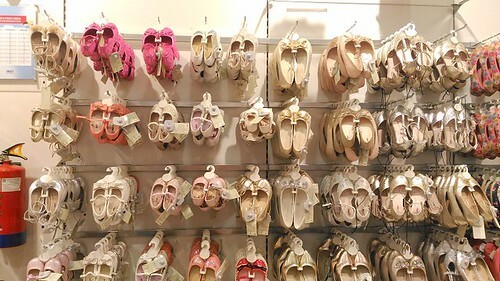 The store in the Forum mall has a wide variety of apparel, footwear & accessories for women, men and kids at a great price. 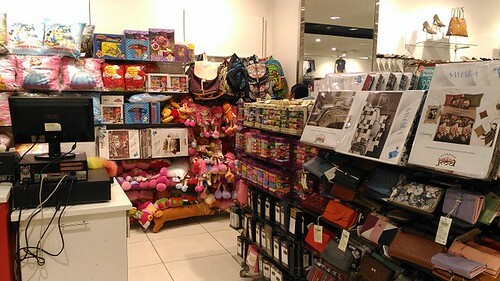 Definitely, this store should be one of the biggest outlets of MAX. I could find some great offers and discounts in the store. For example - Buy 1 for Rs.499. Buy 2 and get a discount of Rs.99. I did not take photos of Men's section as I did not spend time there. When it comes to shopping for Diwali, ethnic wear is the best. 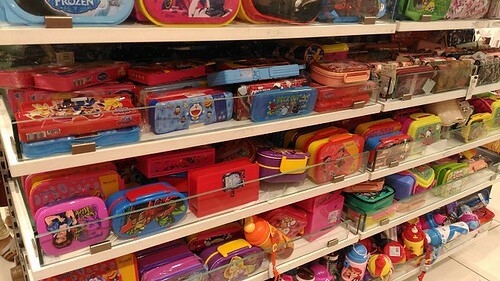 Apparels, Footwear, Dolls, Lunch boxes, bags, pencil boxes, tiffin boxes, water bottles and accessories are available in different colors. The main reason for our preference for Max is we could always buy what our kid prefers. He always prefers shirts with vehicles print. We could make sure that he gets what he likes if we go to MAX. There were many shops from where we had to return buying nothing. But Max always has what we want. We never had issues with the quality of clothes. We had to discard the dresses only when they could not fit as the child grows up. 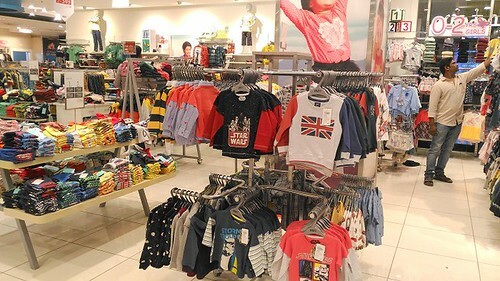 You can see yourself how huge the collection is in the kids section. I could find bedsheets and few more items. But I did not spend more time in that section. Who doesn't want to have a tasty sub or pizza after a long day of shopping? Quiznos, the famous sub shop is located in the food court where you can enjoy a variety of food items like subs, pizzas, salads, kebabs, soups, starters, bread and sauces. You must try their thin crust pizzas without fail. They have signature classic subs that are original subs made from recipes crafted by their expert chefs. Tuna Melt, Classic Italian, Chipotle chicken, Four Chilli chicken are some of their tasty non-vegetarian Signature classic subs. Paneer tikka, Aloo Tikki, Veggie Soya Chipotle are some of their veg collection of Signature classic subs. You could also get the most wanted subs like Chicken tikka, Sweet Chilli chicken, spicy chicken, Sweet Chilli Veggie, Veg Tikka Masala, Mango Jalapeno Veg. If you are a non-vegetarian, you can try Tandoori Chicken pizza, Pepperoni or Italian sausage pizza. Spicy veg, Tandoori Paneer, Veg Alfredo are some of the tasty pizza options if you are a vegetarian. Seating is not a problem as it is located in the food court. The quantity is always good. Don't forget to taste their lip-smacking desserts. They proudly say that every order is made to order. 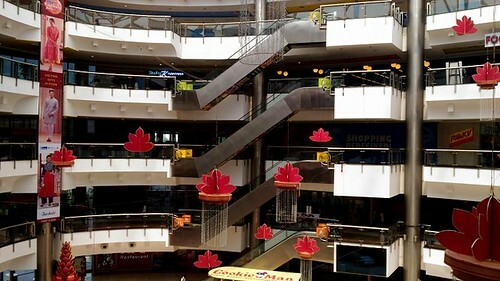 Be it a hangout or vigorous shopping requirement, the Forum Vijaya mall is one of the best places in Chennai. The mall is sure to please you with a great ambiance, convenient food court and a wide range of shopping outlets. I even bought 2 siku toys in Funskool. Siku toys are my son's favorite brand when it comes to toys. To have a relaxed shopping experience, visit the mall on weekdays. As it is located in the main city, you have to consider the traffic while planning. I cannot comment on the parking space and parking charges since I did not go by my car on that day. For latest updates and news about the mall,please follow their Facebook page - https://m.facebook.com/theforumvijayamall. You can also keep yourself updated on latest offers and discounts.